45 km east of Varkaus. Lake Iso-Rummukka 20 m (length 7 km, breadth 1 km), shallow and deep water. Jetty and own boat. 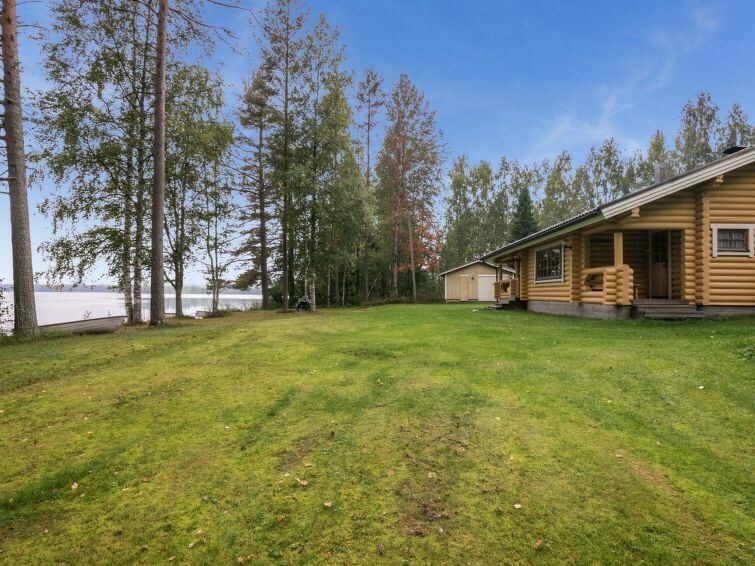 Log cabin 1992, living room/kitchen with 1 extra bed, 2 bedrooms with double beds in each, dressing room, washroom, sauna (electric sauna stove), toilet, open veranda. 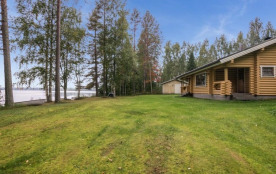 Traditional log cottage on a sunny plot. The big lawn has a lot of space for playing. Good fishing possibilities and berry picking forest areas (during that season) are just around the corner. Heinävesi 13 km, Kerman kosket, where rapid fishing possibily (requires special licence) 20 km, Karvion kanava (water channel) 26 km, Valamo ja Lintula monasteries 36 km, Varkaus 37 km, Kolovesi nationalpark 39 km, Spa Vesileppis, where also skiing tube 41 km, Joensuu 94 km, Kuopio 95 km, Imatra 206 km, Helsinki 353 km.